Companies not only issue orders for purchases from their suppliers. They also need to avail of certain services only specific service providers can render. 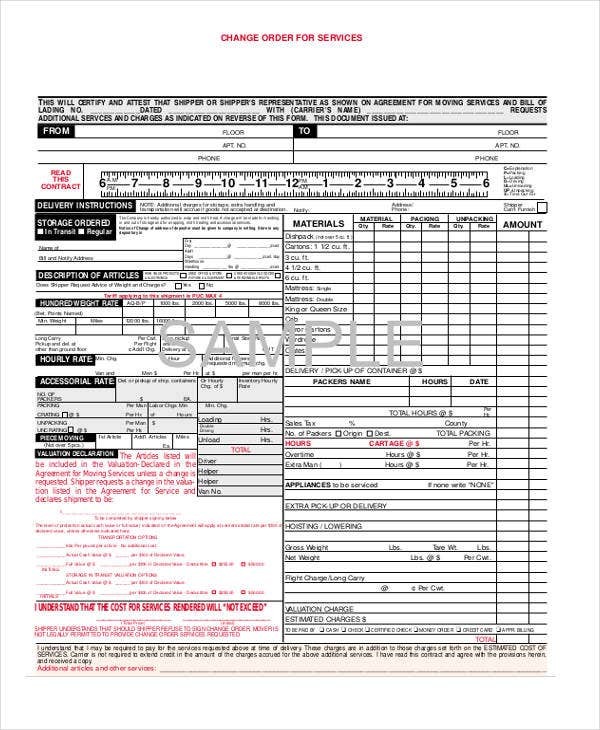 Similar to making a purchase order for a supplier, a company needs to issue a service order. There are different outlines of a service order made by different business industries. 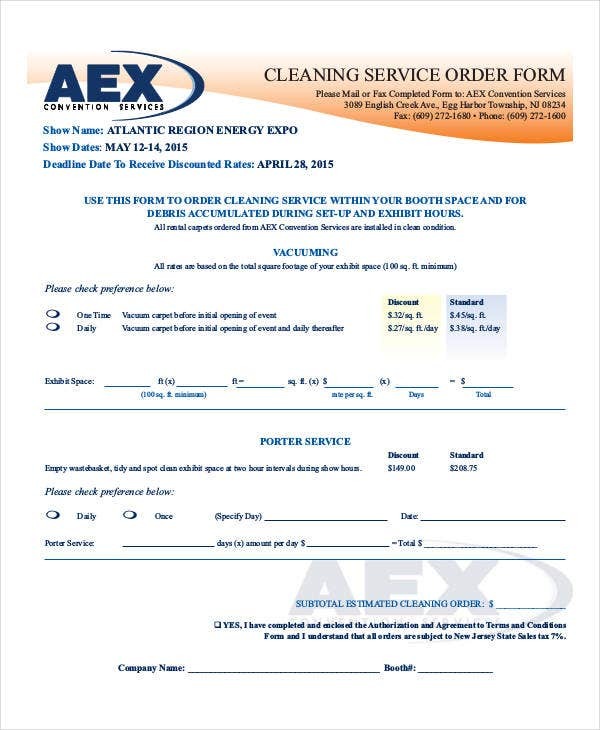 You can create your own service order format or you can follow a template similar to the event order template sample of this website. You can look into the following service order templates which are downloadable in Word and in PDF formats for you to use.You may also see Order Templates. 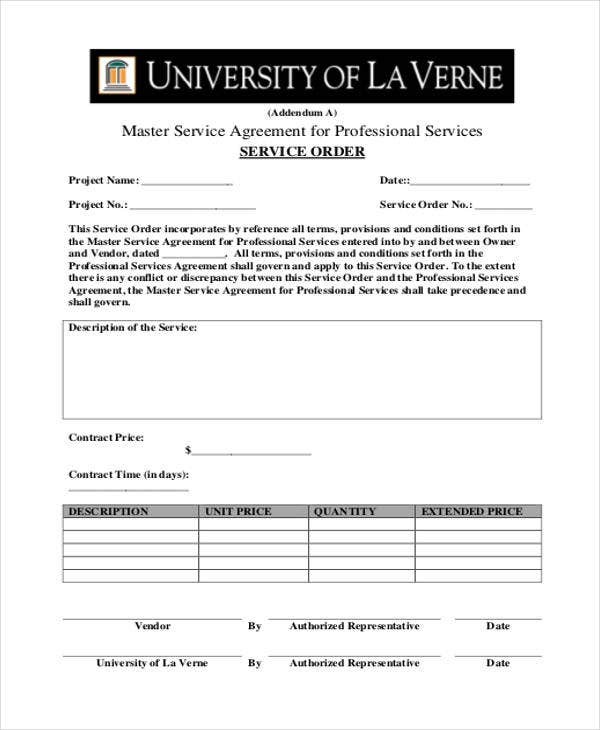 Service Order Description – Similar to the outline presented on the purchase order templates, a listing of the needed materials and labor should be seen on the service order together with work recommendations. 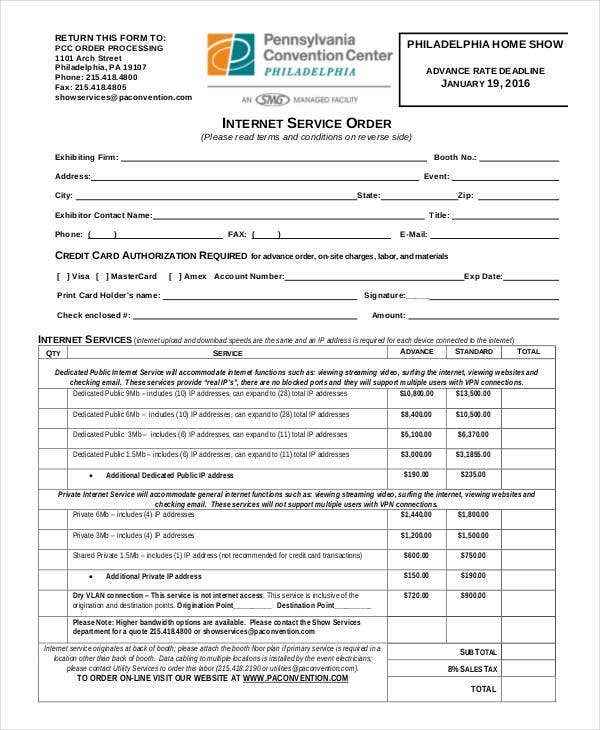 Service Order Quotation – This pertains to the fixed rate of the service and the relevant expenses that the issuing business is willing to pay. 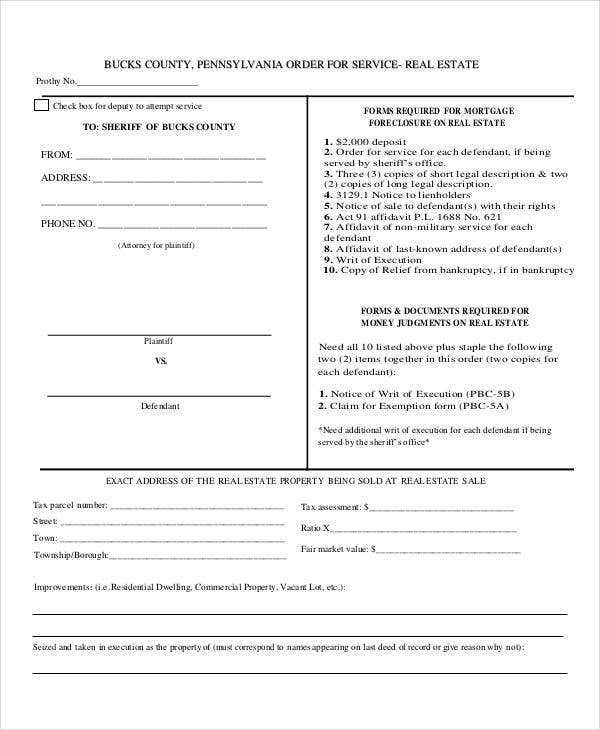 Payment Terms of the Service Order – The mode of payment chosen by the business issuing the service order is indicated on the written order form. Contact Information of Both Parties – Just like the other order templates provided on this website, a service order contains contact details of both the business in need of the service and the service provider. 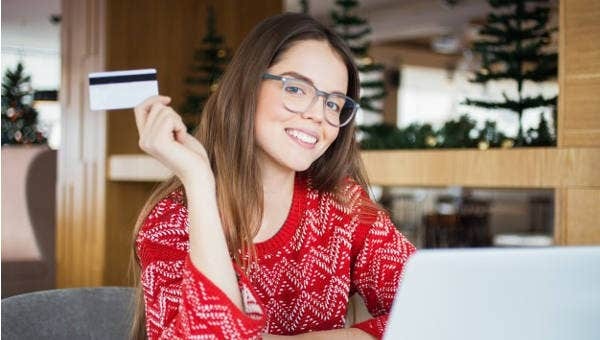 Other Essential Terms and Conditions – Additional terms of the service order may include warranty and the tax to be included in the payment which is also evident on a sample event order template. Download a blank Excel service order template. There are various order templates you can choose from like the repair order templates. You can do the same with a excel service order. Run template on Excel spreadsheet program. 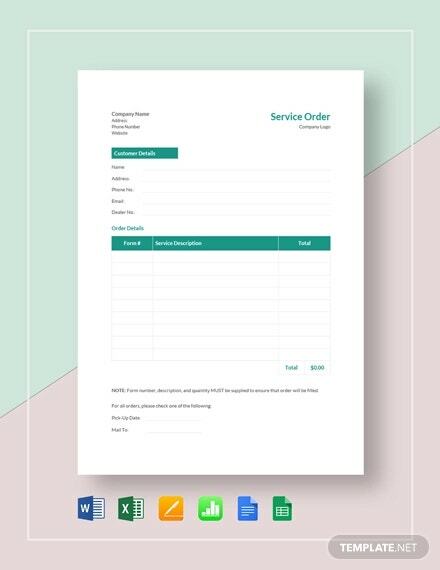 Open the format of the service order template using the Excel application on your computer. Insert row for the start date and end date. Make a space at the top of the service order outline for the start date and the date of completion for record purposes. Create an additional information section. Additional information would become the space for your notes and other information of the service order not included in the outline of the order template. Edit the order template to your needs. There are instance where a service needs to be monitored like how an order tracking template is used for. 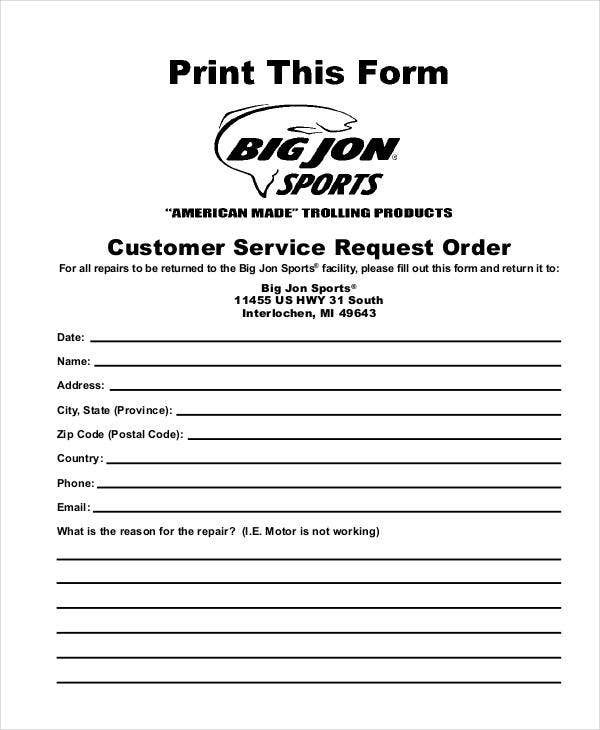 You can include these sections on the service order form you are creating to cater to your company’s information needs. Service orders are important records of both the issuing and the receiving entity. It is essential to put the required information of the service order. 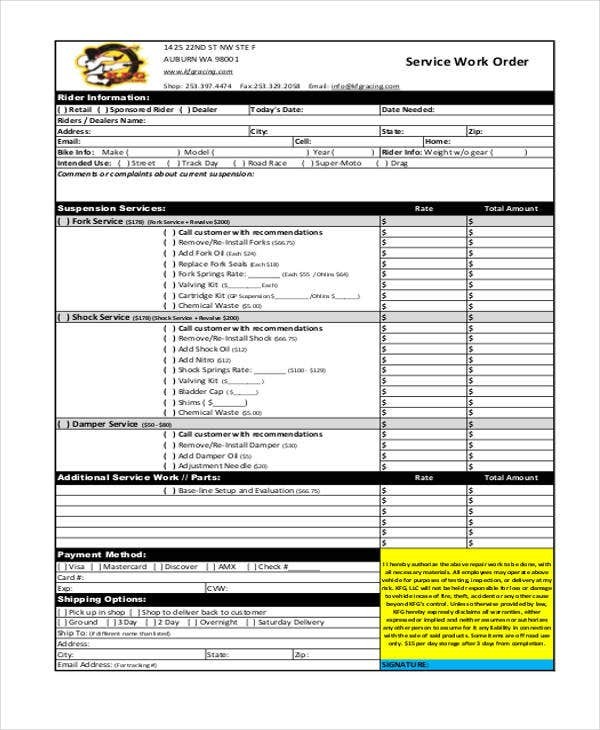 Try looking into these service order templates available in Word and in PDF formats.